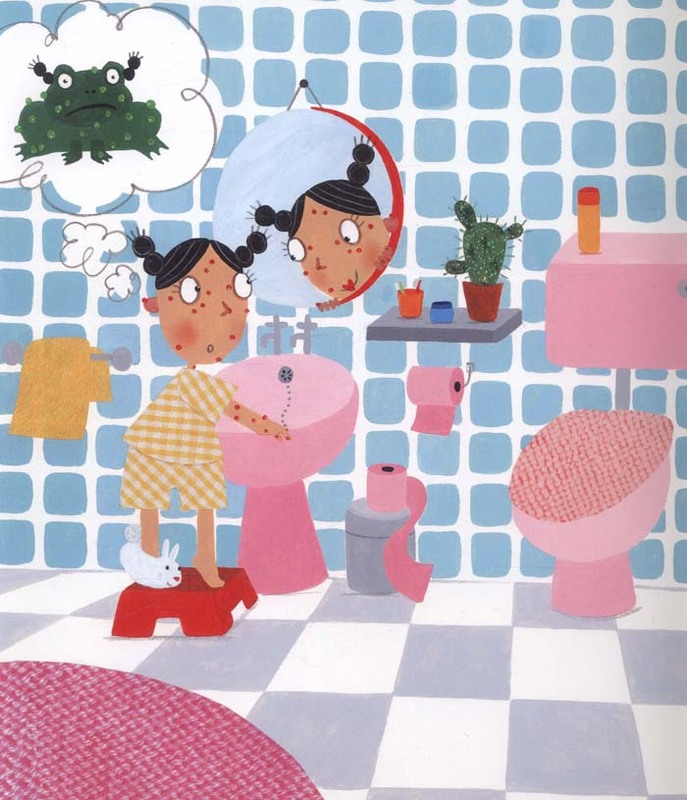 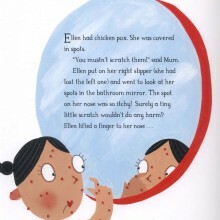 Imagine Ellen’s surprise when Princess Mirror-Belle climbs out of the bathroom mirror! 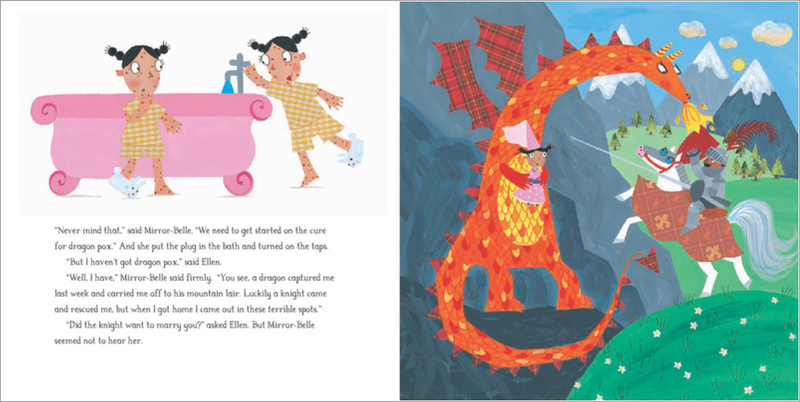 She comes from a world where bubble fish swim in the bath, elves sleep in slippers, and brave knights fight fire-breathing dragons. 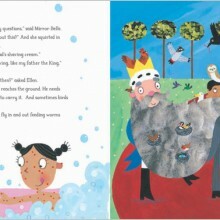 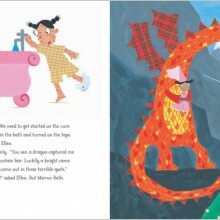 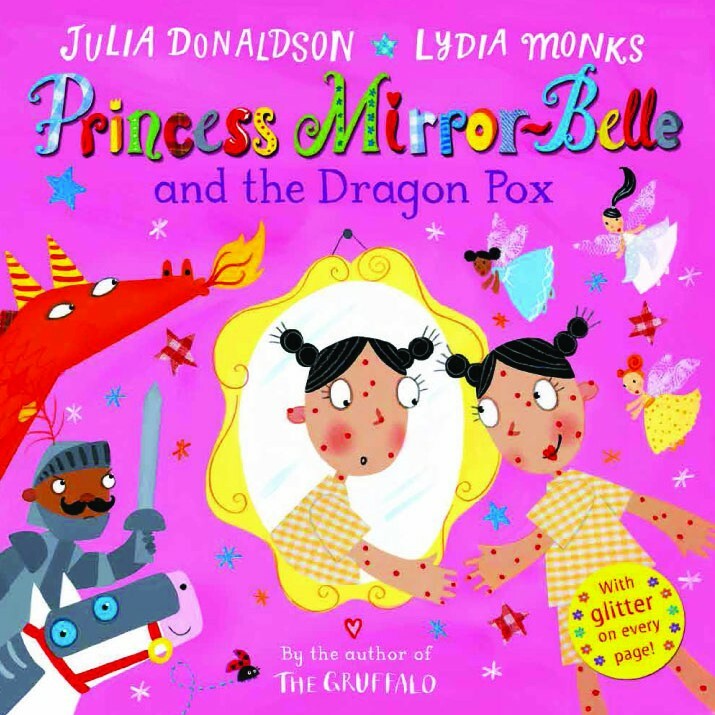 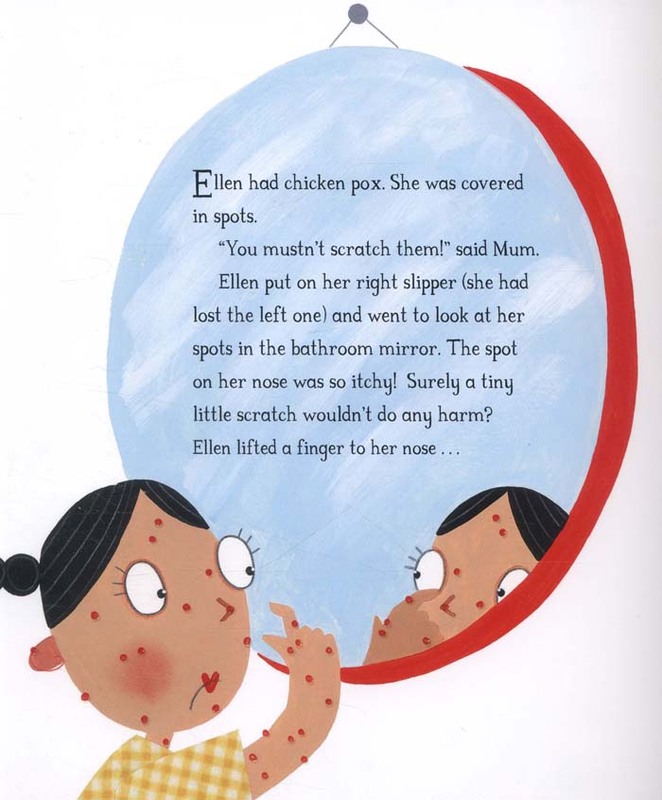 And while Ellen has chicken pox, Mirror-Belle has dragonpox — but she knows just the cure. 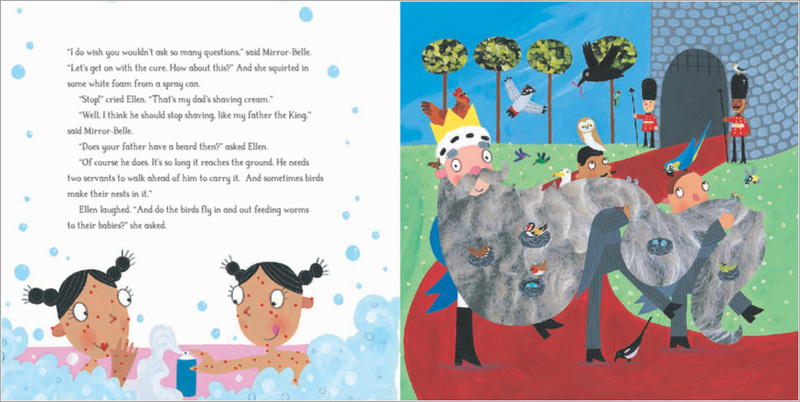 The bath is soon overflowing with bubbles and goo . 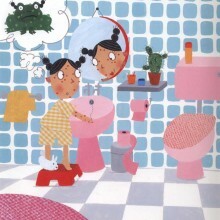 . . but will it get rid of their spots?